What does your business want to achieve with online feedback? That is the first question you and your digital team will want to ‘chew on’ before initiating any kind of online feedback programme. Identifying goals is a good first step in setting up a powerful feedback strategy as your strategy must revolve around these goals. Some of the most common goals shared by digital-first businesses today include increasing customer loyalty, improving online sales funnels and enhancing webpage usability. So what is the most optimal way of gathering insights that will help you achieve these goals? Using the right metrics and feedback form questions. Building and deploying effective feedback forms is critical to the success of your online feedback programme. There is a lot to consider including which feedback form questions to use, which kinds of research elements (e.g. radio buttons, checkbox, open text box, etc) and when and how you will deploy them (e.g. passive and active feedback forms and in which funnels). In this blog post, however, I will talk solely about the different types of feedback form questions you might want to consider incorporating into your feedback forms, including advice on how to use them and why they are beneficial to your programme. Note: this list includes the most popular quantitative feedback form questions. However, towards the end of the article, you will find examples of qualitative feedback form questions. Let’s get started with the first type of question.. 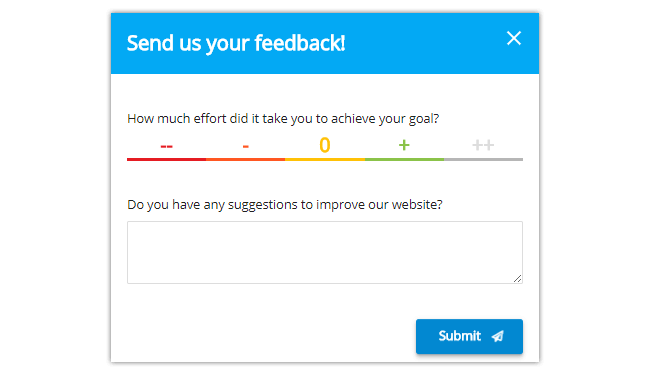 This is probably considered one of the most generic, yet commonly used feedback form questions among digital-first businesses. The answer options for such a question can range anywhere from stars and smileys to a number range (1-5) or even a color bar. 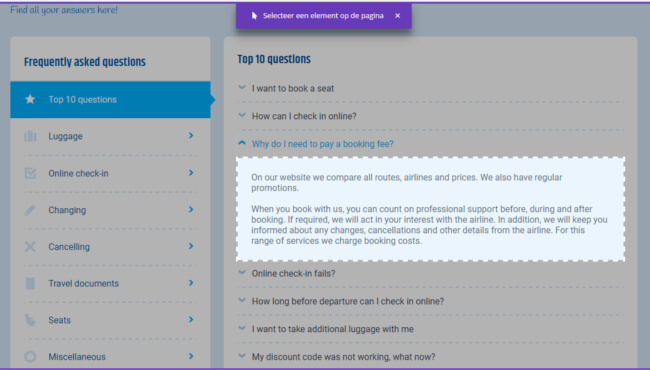 This question can be presented using a passive feedback form, which is often triggered by the visitor simply clicking on a feedback button located on the side of the web page. A great way of capturing insights into webpage usability, passive feedback forms can be placed on any page you like. 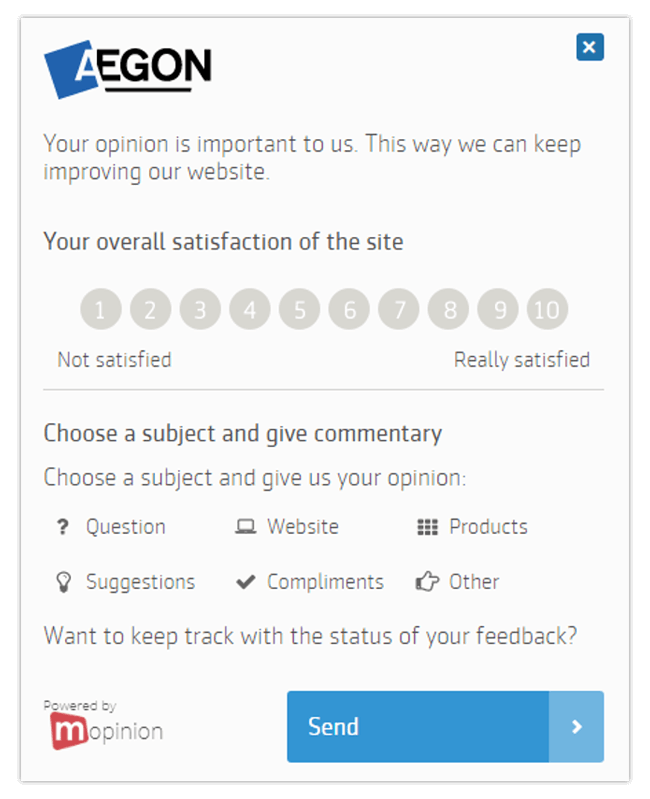 You can even put these feedback buttons on all pages of your website as this provides your customers with the opportunity to give feedback whenever they want. Net Promoter Score (NPS), perhaps one of the most popular loyalty metrics, is a great way of gauging customer loyalty online. It’s important to mention that NPS should never be used as a generic metric as it is only really effective when geared towards current and/or long time customers who are familiar with your brand. In other words it’s better to collect scores from actual customers rather than anonymous visitors who have yet to build up any sort of relationship with your brand. NPS can be measured in one of two ways: either to gather general insights on how the business is perceived by a customer (based on overall experience and the brand itself) or to gather insights based on a transaction the customer has made with your business. These two types of NPS surveys are referred to as Relationship and Transactional surveys. Relationship NPS is measured at an organisation level and is used for things like benchmarking against competitors or obtaining company-wide KPIs to measure customer focus. These kinds of surveys are often carried out at regular intervals (e.g. quarterly, semi-annually, annually) and are focused more on the overall experience and the brand. Transactional NPS is measured after customer transactions. Focusing more on the interaction with the customer, it is meant to help them with any issues they encounter during the customer journey. However, when we look at websites and webshops, the transaction is the website itself. Goal Completion Rate (GCR) measures the number of visitors who have completed a specific goal on your website or mobile app. 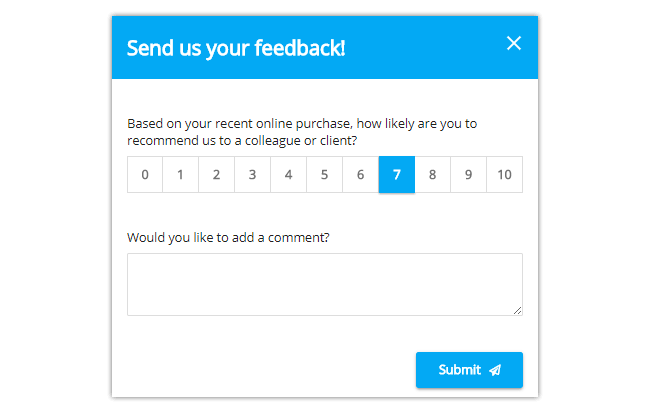 This feedback form question will typically be found in places where a customer is trying to make a purchase, using either a passive feedback method (user-initiated) or as exit feedback (a feedback form triggered based on exit intent). This metric should not be used on the homepage or landing page as this is just the beginning of the funnel and the goal cannot be completed at that point. What’s great about this method is that when a customer fails to reach their goal on your website, you can ask why they did not reach their goal as well as ask them to leave their contact information behind, which turns them into a lead. These details provide you with the opportunity to rectify any issues in the funnel and help the customer convert. This is, therefore, a great feedback form question to use if you are looking to improve online sales funnels. Read more about collecting GCR in online funnels here. Customer Effort Score (CES) is a metric used to understand how much effort it took your customer to achieve his/her goal. This is a very critical metric because more often than not, high effort results in lower customer loyalty. One way to collect the CES is at the end of the funnel (e.g. once the customer has made a purchase). This is the most effective because although the customer made their purchase, there is otherwise no way of knowing how easy or difficult the process was for making that purchase. CES is also a good feedback form metric to use for improving online sales funnels. Read more about collecting CES in online funnels here. Customer Satisfaction is essentially a measurement of how well your website meets the expectations of your customer. This could be measured based on a particular page of your website or alternatively, at an aggregated level (e.g. how satisfied are they with the entire website). Often companies measure Csat using a number scale ranging from 1 to 10. These feedback form questions alone are obviously a bit hollow in terms of eliciting real insights. Let’s take a look at some additional components you can add to your feedback forms. For more elaborate responses, many businesses choose to incorporate follow-up questions and question routing techniques into their feedback forms. For example, if a customer fills in ‘No’ for GCR, you can ask follow up questions (that are otherwise hidden if they select ‘Yes) asking why they did not achieve their goal. This way depending on their answer, you will receive a more specific response about the issue (or non-issue). Additionally, users can ask their visitors to (optionally or mandatorily) add open comments in an open text field at the bottom of a feedback form. This type of feedback can then be analysed using text analytics and sentiment analysis. It is also helpful to add fields where visitors can fill in their contact details in case they want to be contacted by a representative regarding their feedback. As previously mentioned, this is a great way of collecting leads as they are directly leaving their contact information for your team to follow up on. Another feedback form element is visual feedback. 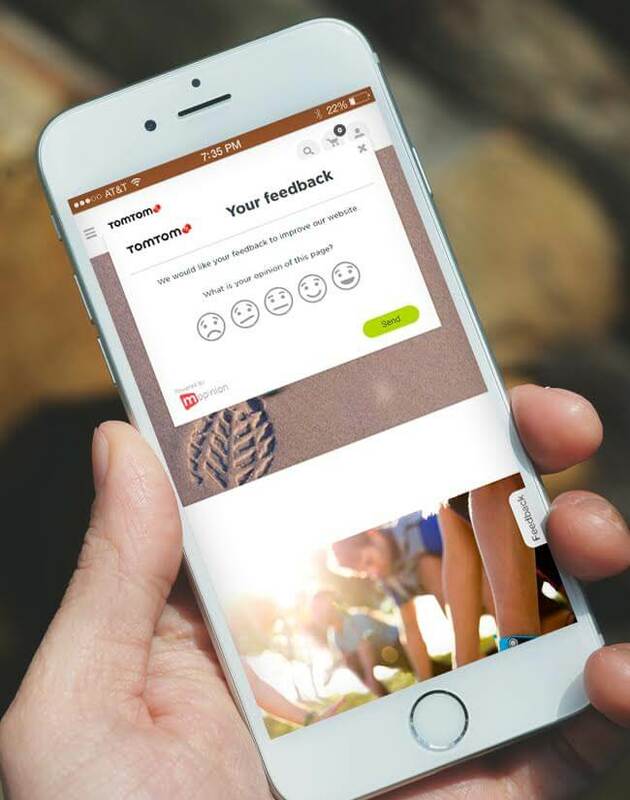 Visual feedback enables website visitors to pinpoint specific page elements (including forms, images, buttons or paragraphs) and provide feedback on those page elements. Visual feedback can be applied in various ways to your feedback form. 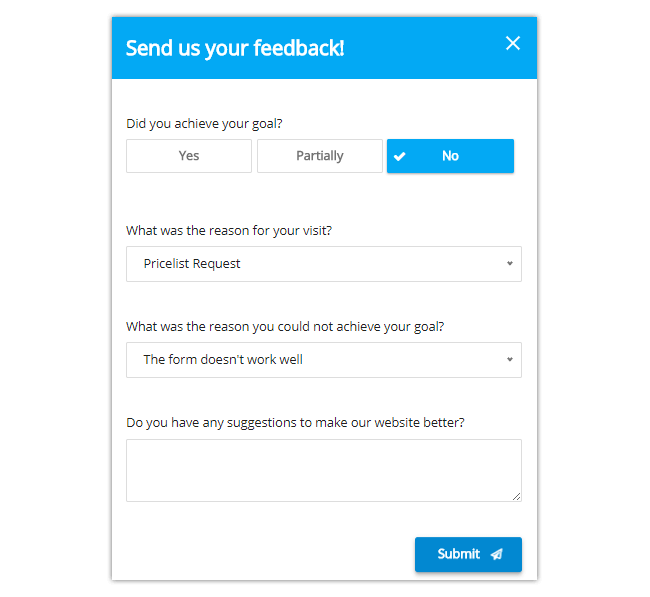 You can add it to all feedback forms so that visitors always have the option to submit screenshots, you can use it as a standalone question element, or you can have visitors submit screenshots via question routing. Note: Visual feedback is also a great tool for optimising web design. So before you do anything, start brainstorming what your goals are with the feedback programme you are about to start. These are the foundation of your strategy and will really help guide the way to deeper customer insights. And a word to the wise, collecting feedback is actually only part of the process. Making sense of this feedback data (in the analysis phase) is just as important as effectively collecting it. Ideally this involves rapidly sorting feedback and identifying trends such as root causes. Once analysed and insights have been extracted, the next step is to take action. This refers to the steps you take both internally (with colleagues) and externally (with the customer) to close the loop with your feedback items.